The ministry of petroleum has asked the finance ministry for Rs 50,000 worth of smaller denomination notes to each of the nearly 53,000 fuel retail outlets of state-owned oil marketing companies (OMCs) on a daily basis, to tide over the ongoing currency shortage. If the finance ministry agrees, banks will have to give about Rs 2.65 billion of smaller denomination notes daily to fuel outlets of these government OMCs. 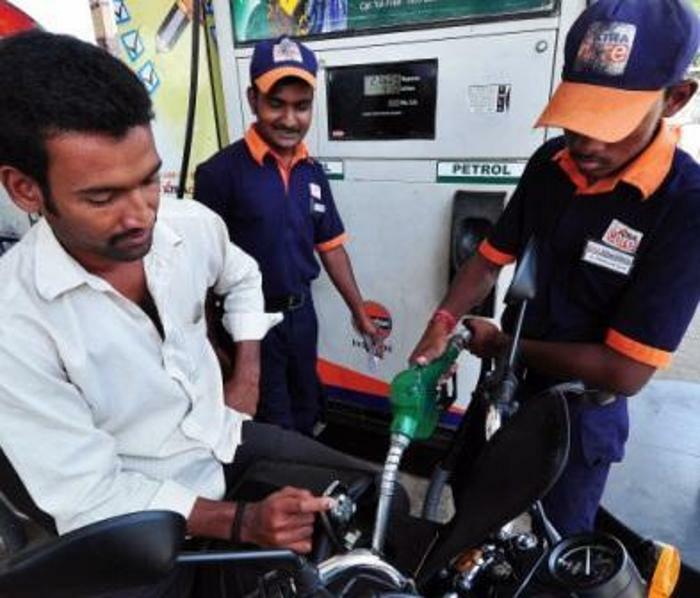 After the demonetisation announcement on Rs 1,000 and Rs 500 currency, sales at fuel retail outlets have increased by 15-40% as the government had allowed the latter to accept the withdrawn notes for payment. With the shortage of smaller notes, fuel pumps are accepting refilling of Rs 500 and Rs 1,000 and invariably not giving any change. The petroleum ministry's move comes after the railways ministry approached the Reserve Bank of India to supply it lower denomination notes. "We have forwarded the proposal by (fuel) retailers to the finance ministry, to provide them smaller notes or set up currency exchange centers at every pump," said a ministry official, who did not want to be named. The government on Monday extended the date for accepting old denomination notes at petrol pumps and railway stations till November 24, considering the currency crunch faced by citizens. There are 56,190 fuel retail outlets, of which state-run Indian Oil Corporation, Bharat Petroleum Corporation, and Hindustan Petroleum Corporation have 52,604. Each of these sells an average of 170 kilolitres a month. "While the customers are demanding change for higher denomination notes, banks are not giving us small notes. At the same time, our sales have increased from 11 kl to about 20 kl a day after the announcement," said Rajiv Chadha, owner of an HPC outlet at Zafar Marg in central Delhi. According to the All India Petroleum Dealers' Association, fuel outlet staffers have been assaulted at many places for smaller notes. In 2015-16, overall fuel demand rose to 183.5 million tonnes, from 165.5 mt the previous year. Diesel consumption increased by 7.5% to 74.6 mt and of petrol by 14.5% to 21.8 mt.